The quest for perfection is exhausting and unrelenting. We spend too much precious time and energy managing perception and creating carefully edited versions of ourselves to show to the world. As hard as we try, we can't seem to turn off the tapes that fill our heads with messages like, Never good enough! and What will people think? Why? What fuels this unattainable need to look like we always have it all together? At first glance, we might think its because we admire perfection, but that's not the case. We are actually the most attracted to people we consider to be authentic and down-to-earth. We love people who are real; we're drawn to those who both embrace their imperfections and radiate self-acceptance. There is a constant barrage of social expectations that teach us that being imperfect is synonymous with being inadequate. Everywhere we turn, there are messages that tell us who, what, and how were supposed to be. So, we learn to hide our struggles and protect ourselves from shame, judgment, criticism, and blame by seeking safety in pretending and perfection. As Dr. Brown writes, "We need our lives back. 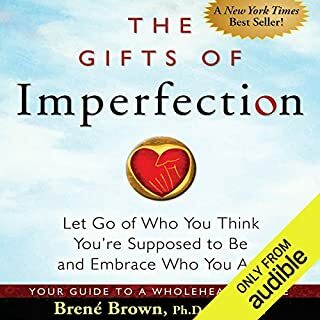 It's time to reclaim the gifts of imperfection - the courage to be real, the compassion we need to love ourselves and others, and the connection that gives true purpose and meaning to life. These are the gifts that bring love, laughter, gratitude, empathy and joy into our lives." 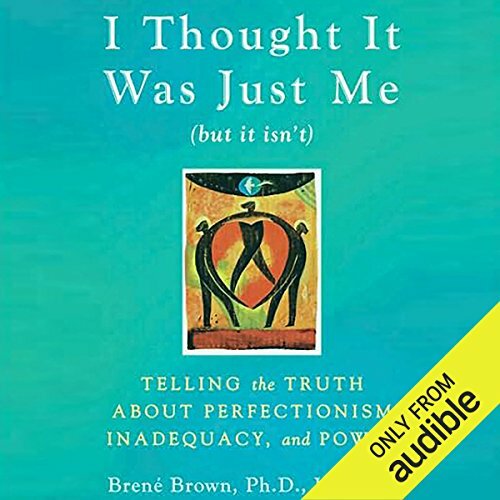 ©2007 Brené Brown (P)2010 Audible, Inc.
What was most disappointing about Brené Brown’s story? This book makes a number of interesting and relevant points. Unfortunately it’s not a smooth read/listen – it is much longer and more repetitive than it needs to be. The book has the appearance of something that was adapted from a thesis, but wasn’t rearranged to be reader friendly. I think that Brown’s evaluation of shame vs. humiliation vs. embarrassment is very important. I just wish it had been more clearly conveyed. Did Lauren Fortgang do a good job differentiating all the characters? How? Fortgang did a good job narrating this book. She sounded compassionate and sincere, and conveyed the emotion that I think Brown intended. I believe the book could have been streamlined. Sharpening the points and examples and making the book about half the length would have made it far stronger. 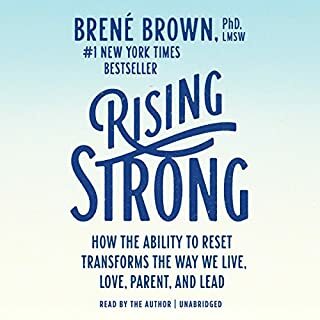 Definitely there were parts that I appreciated for being insightful and explaining things, soon the book became pretty boring and repetitive as it constantly circled around the issues of parenting and family. I'm in my mid 20s, I'm still a student, and I have no interest in creating a family, let alone having children. A lot of the examples and discussions in the book simply weren't for me. I might re-visit it in 10-15 years when it becomes more relevant. That's really the only thing about this book that dissatisfied me, and of course that's a very subjective reason. 97 sur 101 personne(s) ont trouvé cet avis utile. 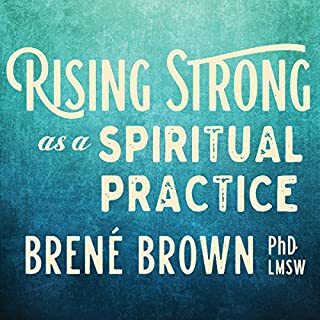 If you are one of the squillions who have watched Brene Brown on TedTalks or Oprah's Super Soul Sunday you may empathize with my review. 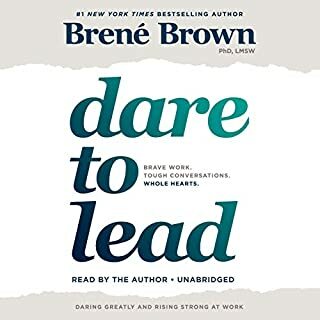 I missed hearing the book narrated by Brene Brown herself. Lauren Fortgang's effort was not without merit, however after having been engaged by watching Brene then buying the books I missed her delivery of her own words. The book itself was worth the investment, I've listened twice since purchasing. 160 sur 168 personne(s) ont trouvé cet avis utile. I'm sure this book has a lot to offer to most women; unfortunately not so much for me. Most of the book focuses on motherhood and parenting.. I don't have children, so could not relate a good deal of the time and lost interest. 285 sur 301 personne(s) ont trouvé cet avis utile. Didn't get any indication that this book was exclusively about women. The author is pretty much only talking about women's contexts and its often difficult to relate or even remember why I'm listening. 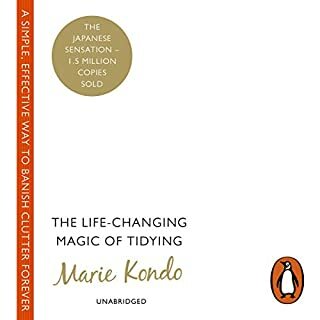 The book itself is great, a lot of good information and good work in here but the title or subtitle should have said something about the book being specifically relevant for women. 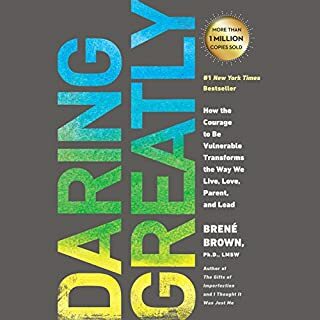 I have read three of Brene Brown's other books before I read this one. I had no idea how much this one would change how I felt. In some ways I wish I had read this one first, but at the same time having already dabbled in her theories I was more familiar with what she was talking about. 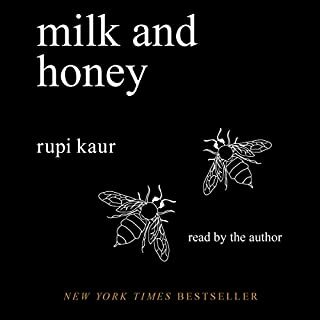 I will forever be changed from reading this book. Good self-help book; not well-suited for audio. 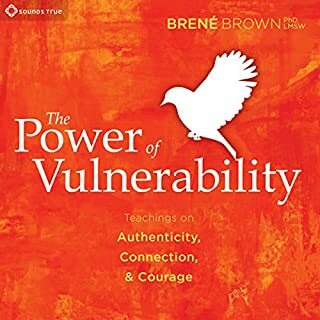 I thouroughly enjoyed Brené Brown's TED talks on vulnerability and shame; I had hoped that this book would be an expansion on those discussions by the author. 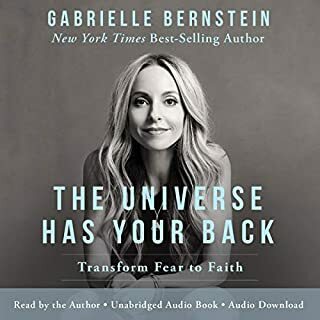 This book contains a lot of useful information and interesting anecdotes regarding overcoming shame, embracing reality, and having compassion for oneself and others. However, it is not written in a style that works well with audio. 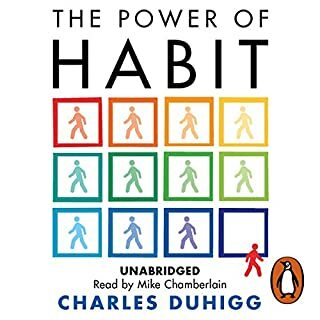 It contains many parts that I would just skim in a print book; it has reader exercises that would be more useful in a visual format; and there are parts that I would like to mark, think about, and come back to (not ealily done in this audio format). A critique of the material is that it seems to focus primarily on women like Brown, herself: white, educated, mid-upper income, etc. 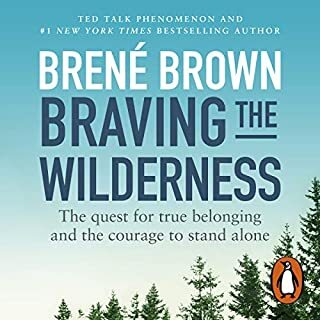 Though there is a nod here and there to people who are not in those categories, it is pretty clear that this book does not do much to address the broader experience of people outside Brown's comfort zone. Then again, the audience that actually buys self-help books like this is primarily comprised of women, white, educated, mid-upper income, etc. (including me). 114 sur 128 personne(s) ont trouvé cet avis utile. Would you consider the audio edition of I Thought It Was Just Me (but it isn’t) to be better than the print version? No. 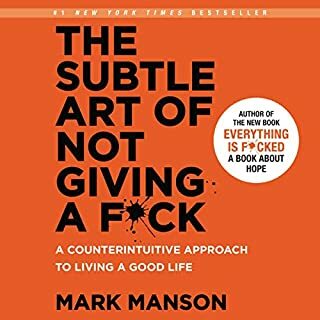 I would recommend reading this book over listening to it. The performance verges on annoying and I would've preferred to scan some sections throughout the book. Brenee's research into shame and the accompanying insights are fascinating and deeply helpful. She draws on countless interviews to populate her data with strong evidence. What didn’t you like about Lauren Fortgang’s performance? Would you listen to I Thought It Was Just Me (but it isn’t) again? Why? I will most certainly listen again for the insight and information. But the narration should've been done by the author. She did fine; I've just heard the author in interviews and I prefer the timbre of her voice. Towards the end the author begins discussing her new research with men. While women seem to be caught in a web she finds that men are put in a box and punished when they try to escape. It reminded me of when my little brother started getting teased and bullied when he got too old (7 or 8 years old) not to stay in the box. Broke my heart again. I really enjoyed this book. The narrator was good however I prefer when read by Brene herself. There is so much helpful information in this book to help understand shame in our own lives and others. I will relisten to this book again soon because the material is so rich and I have so much to implement in my own life and work. Thanks Brene and support team! In my opinion think every person should read this book. It's about compassion and for me it also tells a lot about feminism and gender equality. I think everybody can use some of the indights and advice in this book.